Healthy homemade fruit snacks with veggies inside. If you pegged me for one of those moms that would make her kid homemade fruit snacks, then you hit the nail on the head. If you knew that I would not only make fruit snacks, but I would also find a way to incorporate vegetables, well, then, you probably know me a little too well. The beautiful truth is that Camille has never had a fruit snack…until someone gave her a pouch at her school Valentine’s Day party. She liked them (of course), but I waited a significant amount of time before making these at home. I wanted her little brain to forget the store-bought sweetness. 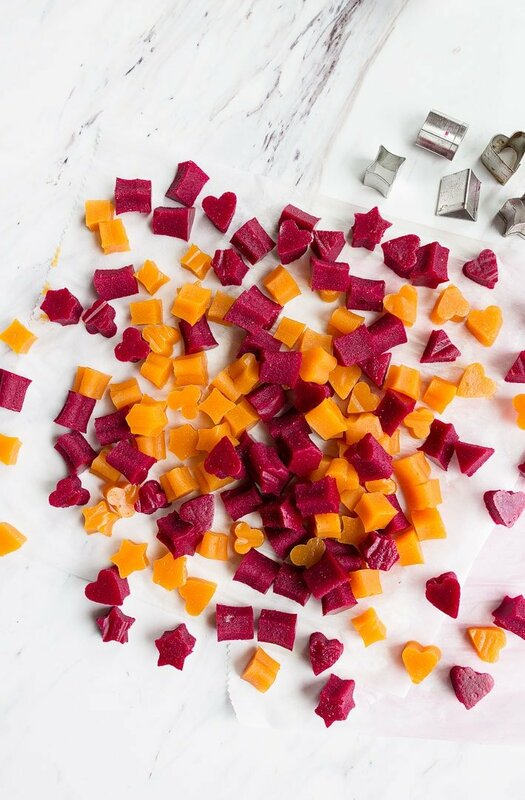 These healthy homemade fruit snacks have the same texture as the store-bought version, but are made with pureed fruit, vegetables, honey, and grass-fed gelatin. I’m pretty sure none of those ingredients are in the store-bought version! I use Vital Proteins grass-fed beef gelatin to make these healthy homemade fruit snacks. I’m a big fan of all of their products (I don’t go a day without adding their collagen peptides to hot tea), and incorporating their grass-fed beef gelatin into my kitchen was easy. As you know, both Camille and I struggle getting enough protein in our diets. Neither of us love meat, and so I’m always looking for easy ways to boost our protein intake. 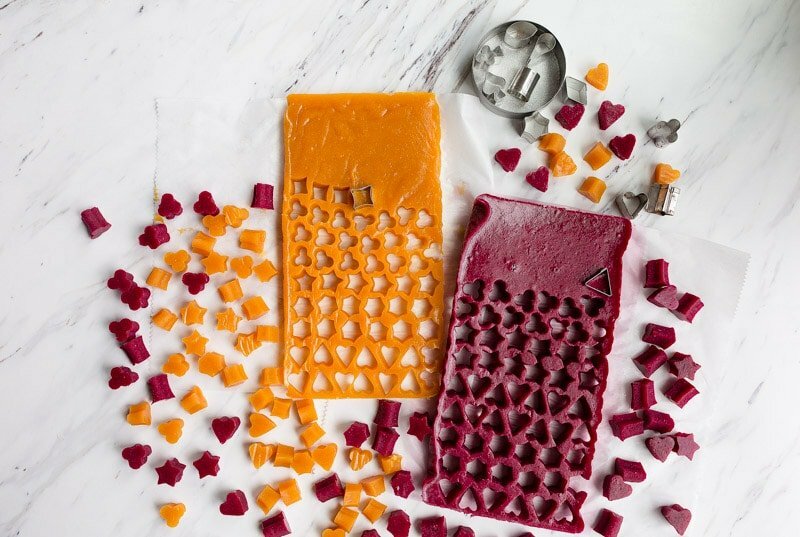 Grass-fed gelatin fruit snacks are a perfect protein-rich dessert for her lunch box. My recipe makes a 9″ bread loaf pan worth of puree with 5 tablespoons of gelatin in it. 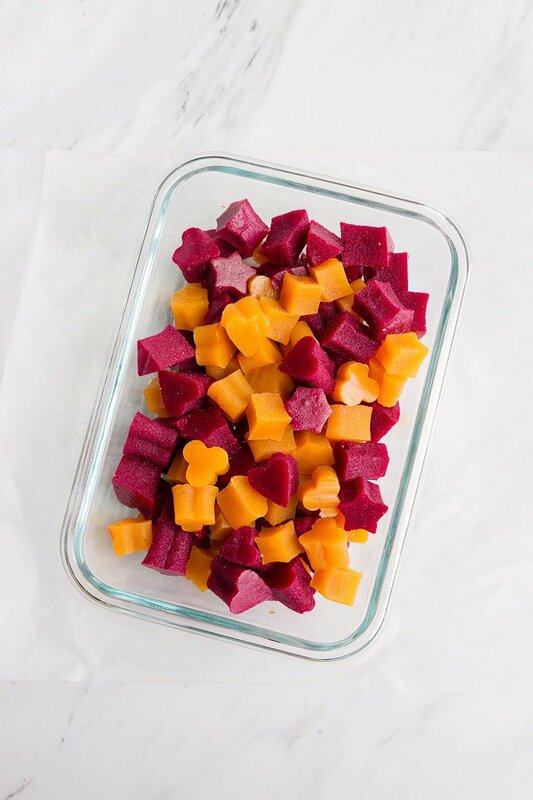 In the photos, you see two flavors: carrot-mango fruit snacks and strawberry-beet fruit snacks. Here’s the real deal on this recipe: you need to taste the puree after blending. Does it taste sweet enough that your kid would eat it? If not, add more honey. I can actually get away with 2 tablespoons of honey for Camille. If your kiddos have had store-bought fruit snacks, the level of sweetness won’t be enough for them. Add extra honey, one tablespoon at a time, until they taste right to you. One time, I tried making these with just 1 tablespoon of honey, and they tasted a bit…vegetal. I ended up rolling them in granulated sugar before serving them to Camille. You really need a high-speed blender to get the fruit the perfect consistency. Puree the mixture for at least 5 minutes, no chunks here! If you’re having trouble getting the mixture smooth, add another tablespoon of water. Adding the gelatin can be a strange process if you’re unfamiliar with working with gelatin. It took me at least one dozen batches of homemade marshmallows before I became comfortable working with gelatin. Once it’s wrinkled, it’s time to whisk the mixture while turning the heat to medium. Continue to whisk the mixture, and the heat will melt the gelatin. At first, there will be clumps, but they will dissolve as the mixture heats. Don’t let the mixture boil, but do cook it while whisking until it is smooth. After pouring the mixture into a parchment paper lined loaf pan, let it set for a few hours. I usually leave mine overnight. The next day, I use little pie crust cutters to cut out cute shapes. What do I do with the scraps? Cut them into smaller pieces with scissors and mix them in! Don’t waste the scraps; I just didn’t photograph them this way because we live in a Pinterest world. 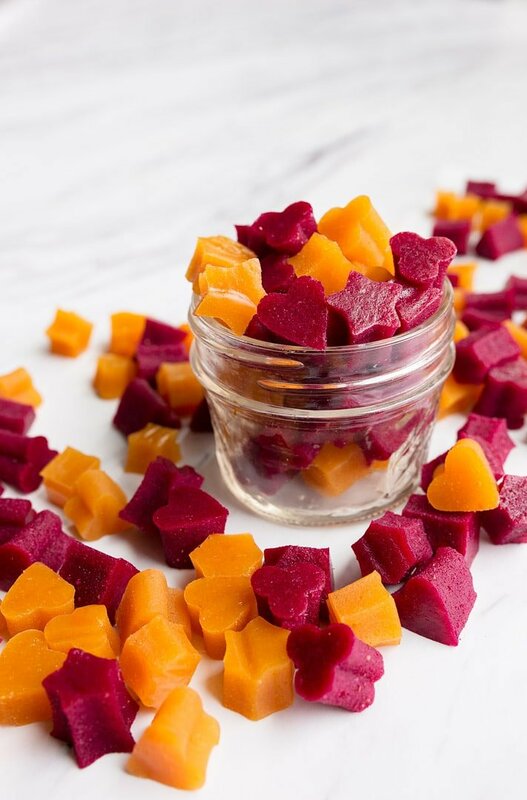 I hope you and your little loves these healthy homemade fruit snacks with veggies! 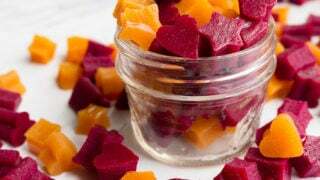 Healthy homemade fruit snacks with hidden vegetables. First, line a 9" bread loaf pan with parchment paper and spray it with cooking spray (I like coconut oil cooking spray). Place the fruit and cooked vegetable of choice in a high-speed blender. Add the water and honey, and puree until VERY smooth, at least 5 minutes. Taste the mixture; add more honey if you think it needs it, and blend again until smooth. Pour the mixture into a large-bottomed stock pot. Sprinkle the gelatin evenly over the surface. Do not touch for 5 minutes. When the mixture is wrinkled on the surface, you can begin to whisk the gelatin into the fruit puree. Turn the burner to medium, and cook while whisking constantly until the mixture is smooth. At first, it will appear clumpy, but the heat will dissolve and make everything smooth. Do not let the mixture boil, but cook it until it's smooth. Pour the mixture into the prepared loaf pan, and allow to set for at least 3-4 hours. I leave it overnight (covered). Use mini pie cutters to cut out cute shapes. Use scissors to cut up the scraps into small pieces, and mix them into the shapes. The fruit snacks keep for 5 days refrigerated. *Please add more honey to taste! If your kids like store-bought fruit snacks, these won't be sweet enough for them. Add honey until it tastes right to you. What is the best to store these and for how long will they last? I look forward to making these! Any chance we can transfer the mixture into the silicon molds and allow them to sit overnight? The silicone molds i have are food grade. OMG! I love this idea!!! They look so good!! not just for kids! This is so amazing!! I mean the idea is so unique and I’m out of words! My kids are going to love it!! Can’t wait to try this. I only give my little one the organic ones, but even those I’m sure are loaded with sugar. Fingers crossed she likes these! OMG this is AMAZING. I may have to make these even though my daughter cannot chew yet… For me, of course!!! Could the mixture be poured into a gummy beat mold instead of the pans? Thanks! 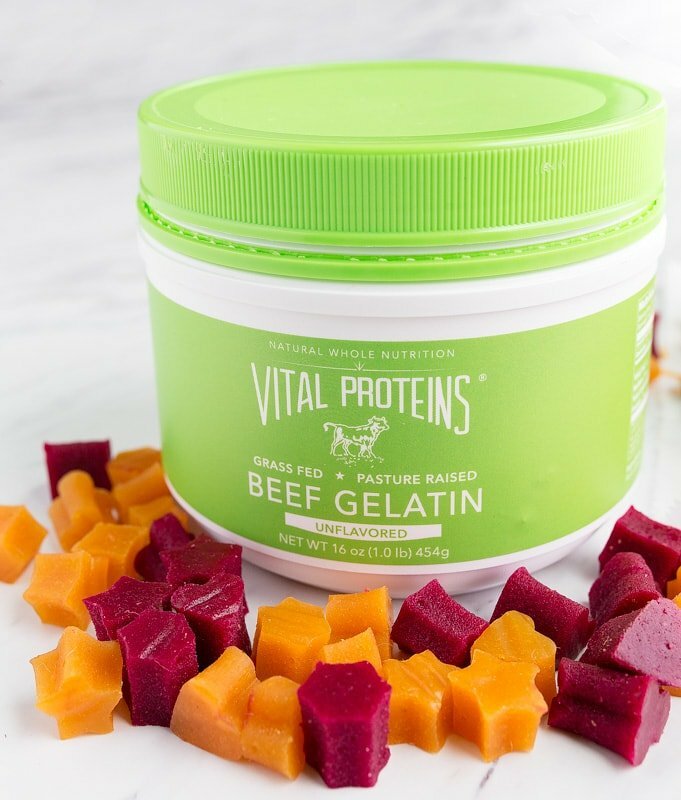 Is there any vegan substitute for the beef gelatin? They make similar in India but with no gelatin. It’s cooked with sugar or jaggery and of course spices and then spread out on a flat surface and left to dry for 1-2 days. Made these and love them! These sound amazing! 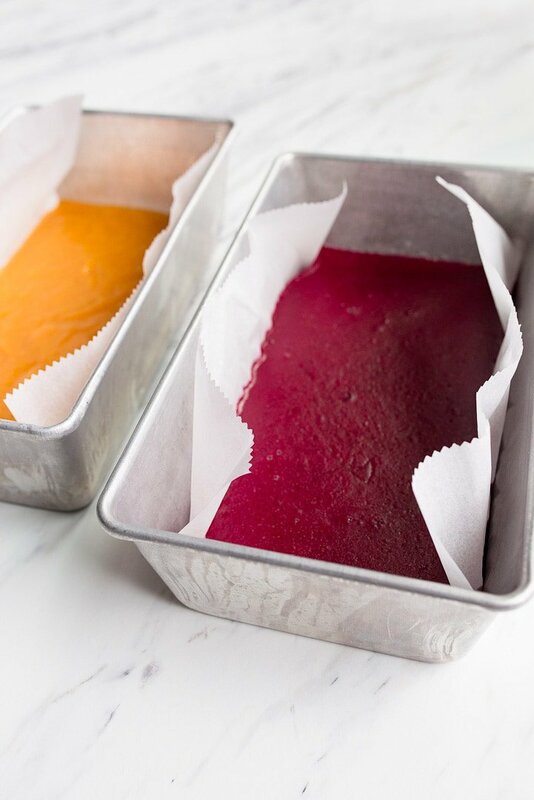 I have your fruit leather recipe that I haven’t made yet but these sound good too! I like the fruit snacks from the store but, you’re right, they’re too sweet! I do have one question. Can I use Knox gelatin instead of the Vital Proteins beef gelatin? I made these last night and they are so good! So much better than what you buy in the store. Are you coming up with any new flavor combinations or have any suggestions? Thanks! I can’t wait to try these! Thanks for shraing! These are so cute! I eat like a toddler so I would love these! Trying this today. Thanks for this fun recipe. Can the fruit snacks be frozen? I looking to make a few big batches with all my garden strawberries. Yay, Shelli! I’m not sure you can freezer gelatin and have it properly soften, I’m sorry! What a fun idea! Thank you for sharing! Should these be put in the fridge to set or left out on the counter? My kids eat fruit snacks like they’re going out of style and I can’t wait to try this! 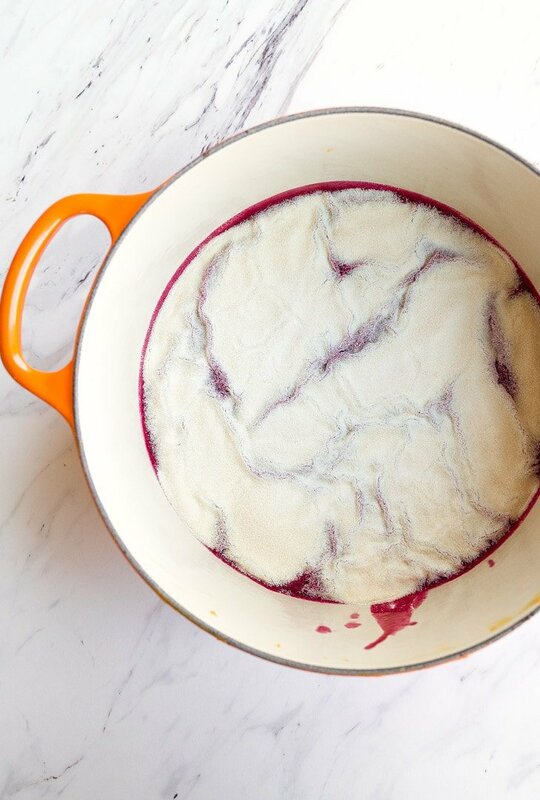 I doubt you can freeze the finished product, but what do you think about freezing the puree, then thawing and adding the gelatin? It’s garden season and I’m looking for a way to mass prep and store my garden goodies. How many snacks are in a serving size?